In Thailand, your weather options are really hot and wet or hot and dry. Really, no matter when you visit, expect some heat. Jokes aside, though, Thailand is the perfect location for travellers looking to experience heat – from warm ocean waters to spicy street food, Thailand brings a little extra kick to every experience. Follow our guide to the best travel times for your climate considerations to ensure your trip goes exactly as planned. Thailand is a long, skinny country, which means that weather patterns can change, depending on what portion of the country you travel to. The high season offers bustling holiday celebrations while the low season allows you to get a local feel. No matter when you go or where you visit, your trip to Thailand is sure to be a memorable one. 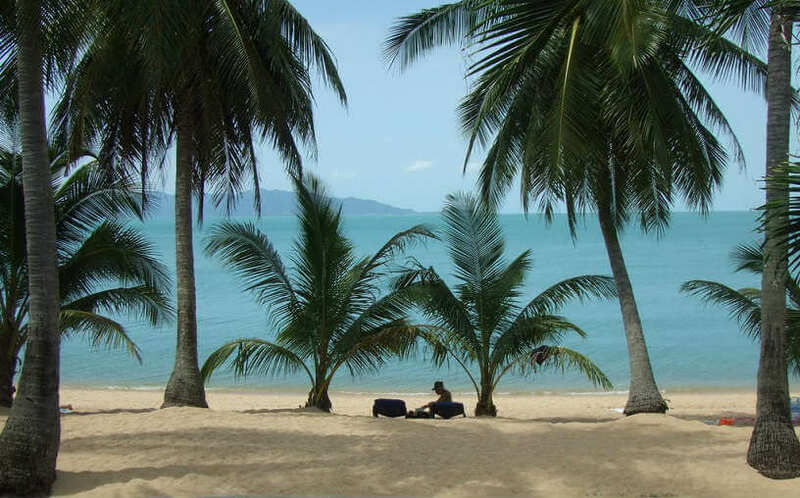 From November to March, Thailand is ‘cool’ and dry – and by ‘cool’ we mean slightly less hot, of course. Landscapes are lush and temperatures are comfortable during this season (ranging from 18°C to 32°C in Bangkok). Temperatures usually drop at night, though, especially at high altitudes, so be sure to pack a sweater. Thailand’s shoulder seasons, which last from April to June and September to October, are just hot. Beaches are less crowded during these times, but that is because temperatures often reach 40°C and humidity levels can reach 75 percent. However, if you are looking to travel to the North or the Gulf coast, September and October are the ideal months. If you are looking for some outdoor time, avoid travelling to Thailand from July to October. This is monsoon season and weather conditions can range from routine afternoon showers to major flooding episodes. Some islands even shut down boat service during this time, as stormy weather is typical. If you do travel to Thailand during a time when seas are rough, be sure to book travel insurance. There are countless stories of boat mishaps in Thailand that result in serious injuries. Thailand is tropical and humid in most places for the majority of the year. This means hot, humid weather is common here. Northern Thailand has three seasons: March to May is really, really hot as the cooling breezes from the South do not hit here; May to November is the monsoon season, which means it is hot and wet; and November to February is warm and dry. Southern Thailand only has two seasons: hot and dry or hot and wet. On the west coast, monsoon rains come from April to October, while on the east coast monsoon rains come from September to December. Travelling between Australia and Thailand can be difficult during monsoon seasons. Depending on where you visit, be prepared for rain delays during the wet times of year. If you make travel plans during these times, be prepared for potential travel delays. Consider flight cancellation insurance, but read your policy carefully as cancellation cover does not always cover expected rain delays.